Elderton's Neil Ashmead GTS 'Grand Tourer Shiraz' made it to Finalist Status at the Adelaide Advertising & Design Club's awards night. A great result for both the winery and champion label designers, Fuller. "Glass-staining ruby-red. Exotically perfumed bouquet of black-berry, boysenberry, cherry-vanilla, cola and incense. A lot of oak spice here but there's also a load of powerful, deeply concentrated dark fruit. Velvety in texture, with strong finishing spiciness and lingering dark berry liqueur qualities. Nothing subtle about this, but it's improbably graceful and focused." Elderton recently commissioned Mike Krips, a leading local historian, to investigate the history of the Nuriootpa estate vineyards and in particular the flagship Command vineyard. Mike trawled archival research in local libraries and information drawn from accounts from the Obst, King and Reusch families (locals to the Nuriootpa region throughout the 20th century) suggests that the history of the Elderton property dates back further than first anticipated. It is now confirmed that the Tolley family arrived in the Barossa in the 1893, after seeing potential in the region for their spirits business and subsequent suitability for vineyard establishment. Their settlement in Nuriootpa led to the construction of a distillery tower, which is still present today south of the Elderton property, near Penfolds (who eventually absorbed the Tolley distillery business). Evidence shows that 1890s was a period of great viticultural growth for the Barossa, due largely to the outbreak of phylloxera (a crippling vine root disease) in the wine regions of Victoria. This was coupled with a growing acceptance of Australian wines both domestically and internationally and as a result, large tracts of vineyards were planted between Nuriootpa and Tanunda during this period. In 1984 the Barossa was amid its darkest hour. A grand history of predominantly fortified wines was no longer having any traction in the marketplace, and subsequently nobody wanted to buy the fruit from the Barossa’s wonderful old vines. These were the last days of the vine pull scheme that saw the Barossa lose over 50% of its total plantings and a great deal of irreplaceable old vines, tracing back to the Barossa’s origins of the early 1840’s. In 1984, Neil and Lorraine Ashmead also made the decision to buck the market and make a limited release Reserve Shiraz, as they believed the oldest Shiraz vines on the property (planted circa 1904) produced something unique and something delicious. The name Command was bestowed upon the wine as it showed all the hallmarks of power and richness and put quite frankly – the wine commanded respect. Elderton was among the first company in the Barossa to do this, of course with the exception of Penfold’s Grange and Henschke’s Hill of Grace. In 2010, the Australian wine community is again in tough times. With oversupply rampant, a disadvantageous Australian dollar and a globe growing tired of the large company commoditisation of Australian wine, many are again wondering where and if respite will come. Through these tough times however, Cameron and Allister Ashmead (the second generation at Elderton) are very proud to announce the release of the 21st Command Shiraz, the 2006 vintage. From very humble beginnings, this wine is now respected as one of the great wines on the planet, with drinkers, scribes and wine competitions all hailing what can be achieved from the century old vines on the banks of the North Para River, in the town of Nuriootpa. The 2006 shows the signs as being one of the greats, in the ilk of 2002 and 1992, as it is full bodied, rich and power packed, yet a wine that has the balance and finesse to showcase its best at any stage in the next twenty plus years. The wine has been rated at 94 points by both James Halliday and by Robert Parker’s Wine Advocate, and sits comfortably in the Excellent category of Langton’s classification of fine Australian Wine. Having spent three years in a combination of American and French oak puncheons and a year in bottle (as every vintage produced has), the wine shows its provenance and pedigree, whilst been given the treatment to make it fit for long term cellaring. "Elderton has been making riesling from the Eden Valley for 25 years. The grapes for this wine were sourced from two vineyards. Eden Valley to its back teeth. Ever so floral. Flavours of lime and lemon with a slatey aftertaste. Exemplary dryness. The finish almost feels grainy, it's so dry. It has 'lilt' to it too, in that the flavours swing through your mouth, rather than just bursting through to the finish. Means it has flavour as well as acid, I guess. And of course, this is part of why it feels so delicate. Lovely wine." The 2006 Estate Cabernet Sauvignon has won a Gold Medal at the 2010 Berlin Wine Trophy. Since 2004, this international wine competition has been subject to the highest quality standards, rapidly joining the family of great and famous wine awards. A great result and yet another accolade to add to the vast list of endoresement for this wine. Family-owned Barossa winery, Elderton, has been granted an $85,000 boost from the federal government, green-lighting what is to be one of the biggest solar powered winery projects in Australia. The grant, which was confirmed today through AusIndustry’s Retooling for Climate Change programme, bolsters the winery's environmental initiatives that have been implemented over the past 5 years. It will see a major solar panel grid erected on the winery premises in Nuriootpa, which will be able to generate 150kW of clean power daily. Elderton will also be contributing significantly to the project. The panels will complement their cellar door, which is already operating on solar driven energy, and will enable full winery production on free and clean power from the sun. Cameron Ashmead, co-Managing Director of Elderton, commented "We are absolutely ecstatic to see the grant approved, which will be a major addition to our sustainable business programme, and a great win for the Barossa in general". Elderton has been an industry leader in incorporating green initiatives into their day to day operations, having been one of the fist wineries in Australia to be fully accredited carbon neutral. The winery, which is increasingly turning to organic and biodynamic vineyard principles, also recycles all of its waste water, and has also undertaken a river regeneration project on their estate vineyard to bring back biodiversity. "The solar panels are expected to generate enough electricity to easily satisfy our immediate demand, whilst also exporting excess power back into the public grid — even through peak requirements during vintage, the majority of our power will be generated by the sun", Mr Ashmead commented. "In the challenging times we are currently experiencing, it is important not take our eye off the ball as to the future viability of our estate resources. This project, along with others, will help to ensure the winery is being run as efficiently and environmentally responsible as possible, hopefully safeguarding it for future generations to come." The winery can expect to reduce CO2 emissions by at least 55 tonnes annually through the new power source, and is aiming to have the system fully operational by the end of this year. 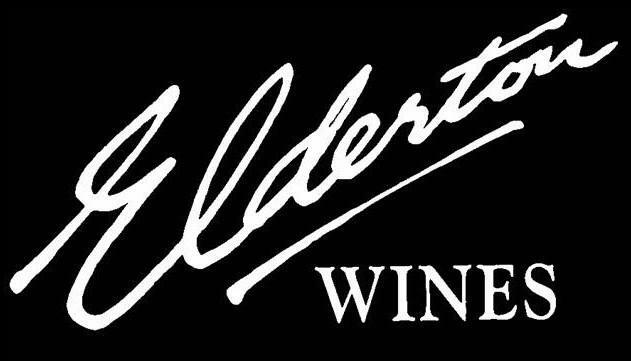 Welcome to the first official blog from Elderton Wines. 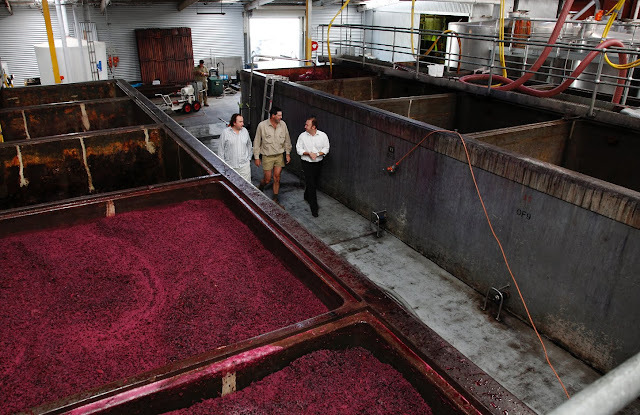 We hope you will frequent this page to be kept up to date with all the happenings from our Barossa family winery. Stay tuned to be kept updated on everthing from media/press coverage and the latest show awards, to video clips from the inner sanctums of our winery and cellars.